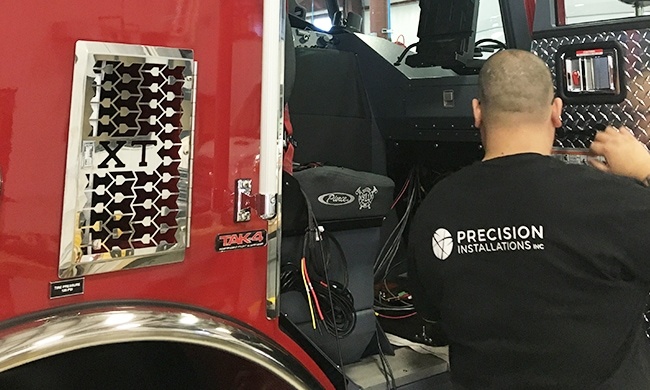 At Precision Installations, Inc., we have more than 20 years of experience outfitting vehicles for municipal and commercial uses. As a Tier 1 supplier for Pierce Manufacturing and Oshkosh Corporation, our knowledge and capabilities stand out among vehicle outfitters. Customizing utility vans and trucks that maximize the efficiency of your business. Options ranging from welded tank racks to roof ladder racks to back-up alarms, LED lighting and more. Installation of all brands and configurations. MDT, modems and cellular boosters have become a standard part of our product line and installations. We take great pride in providing a safe environment for both our staff and our visitors, along with providing quality products and service. 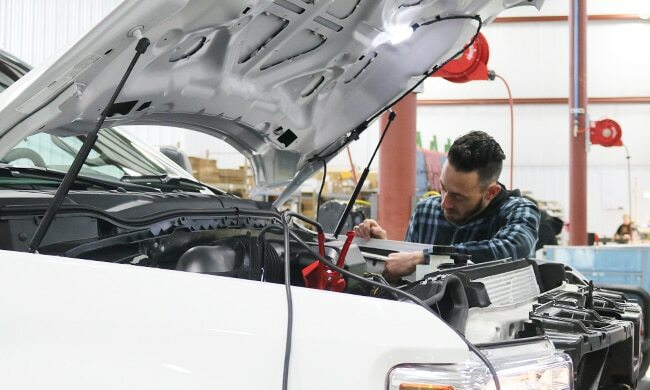 If you are looking to install lighting, communications or other equipment to your emergency, service, utility or commercial vehicle, call us for service and experience that stands out in the inudstry. 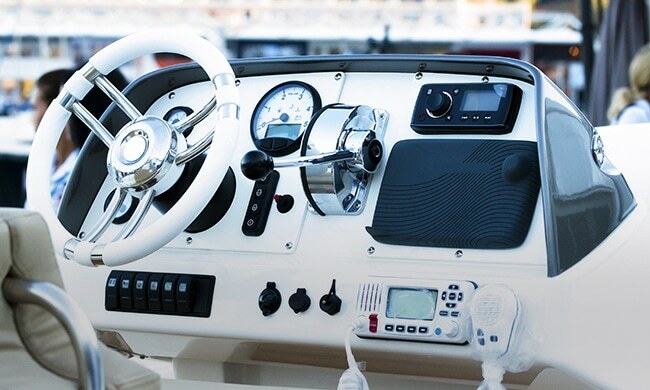 We also install radios and other electronics in RVs and boats. "Ladder racks, lights and a new internal racking system in less than a day! Thank you for being efficient, so I could get back to work! "